Auction will be held inside with tables and seating provided. 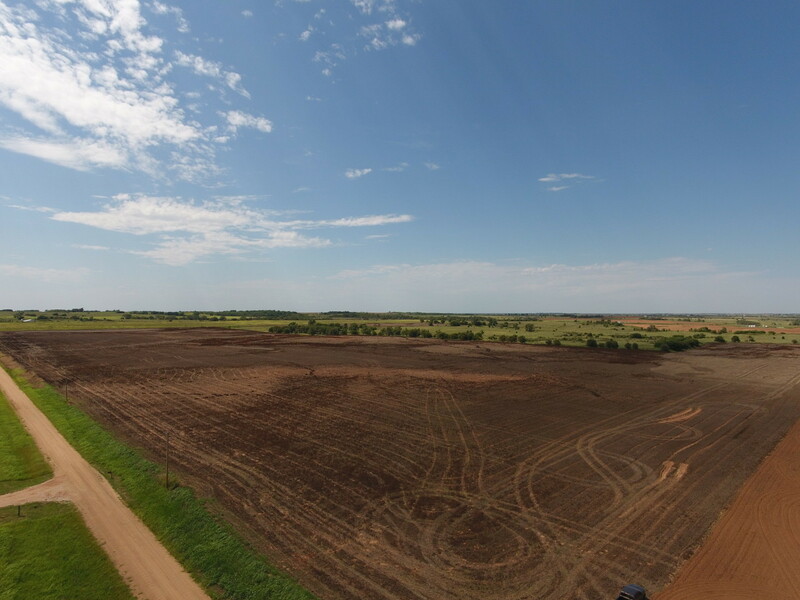 Tract #1 Land Overview: Located in the far northeastern part of Alfalfa County, this 160 acre parcel has an approx. 96 acres of cropland, with the balance of approx. 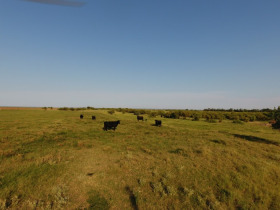 59 acres in native grass pasture. 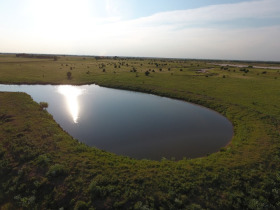 A small pond is located to the north and east of the tract, providing water for livestock or wildlife & recreational use. 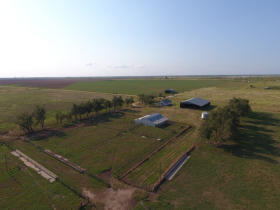 FSA Farm Information: As per the Alfalfa County FSA, this farm shows a total Farmland of 157.6 acres, and a Wheat Base Acreage of 96.2, with a PLC Yield of 29 Bushels. This tract does not contain a wetland. The Northwest Quarter of the Northwest Quarter (NW/4 NW/4) of Section Twenty-One (21), Township Twenty-Six (26) North, Range Ten (10), W.I.M., all in Alfalfa County Oklahoma, containing approximately 360 acres, more or less, surface rights only. Directions to the Tract: From Grant Road (Cemetery Blacktop) travel East approx. 4 miles, the tract is located where the road dead ends. Watch for Signs. 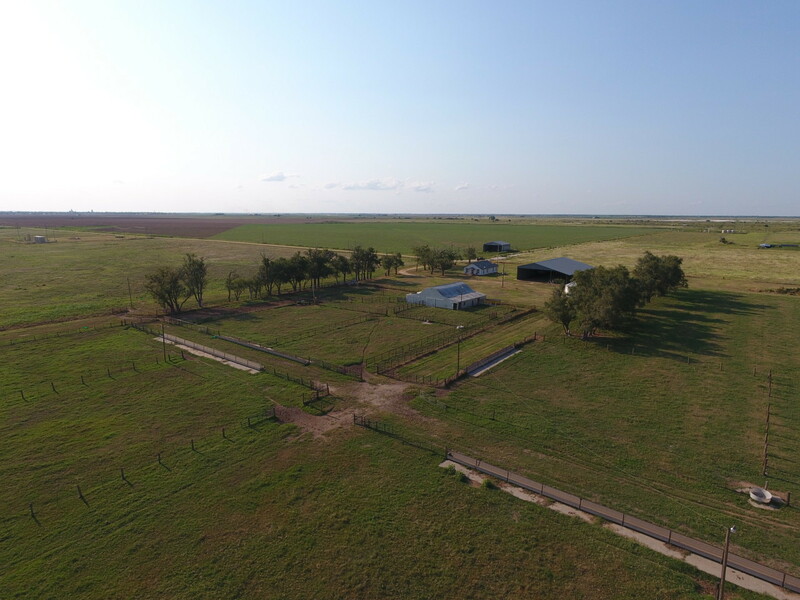 Tract #2 Land Overview: This 360± acres is well established for cattle production with the main improvements including a 108’ x 68’ steel hay barn, older 60’ x 50’ round top barn, and an older home, approx. 1200 sq. ft . Complete cattle working / feeding system is located at the buildings with access to rural water, older concrete feed bunks, working chute / headgate, and loading area. Just south of the pens & buildings is large grass traps leading out to the open pasture. To the east of the buildings / improvements is approx. 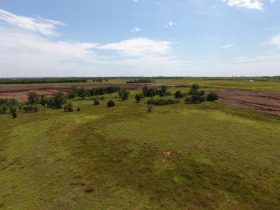 70 acres of cultivated ground, good for wheat pasture / grazing, or cropland production. 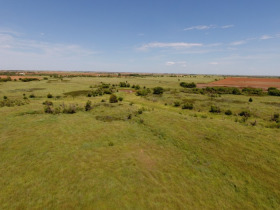 The open grassland tract is additionally watered by a creek that dissects the pasture, with the pasture being a blend native grass, and some improved Bermuda. The entire tract borders the Salt Plains National Wildlife Refuge / Crystal Digging area located on the eastern border of the tract, with five-wire perimeter fencing diving the salt flats from the grassland area. Some areas of permanent fence are located on the western border, but temporary hot-wire fencing is mainly used on the western part. 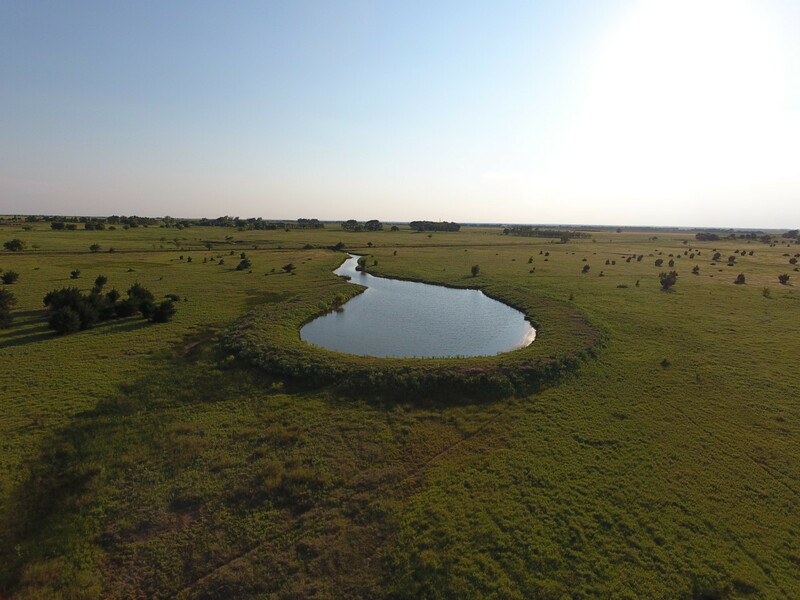 This tract has dense area of cover, along with water and open grass, providing good hunting habitat for whitetail deer and other game. Soil Information: Principle soil types consist of 45.2.8% Class 8 Salt Flats, 19.4% Gracemont fine sandy loam, 0 to 1 percent slopes, 16.4% Class 3 Wisby Sandy loam, 0 to 1 percent slopes, 9.7% Class 2 Crisfield fine sandy loam, 0 to 1 percent slopes, 2.8% Class 1 Brewer-Drummond complex, 0 to 1 percent slopes. 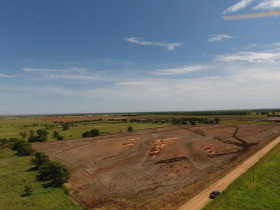 All in Alfalfa County, Oklahoma, containing approximately 300 acres, more or less, surface rights only. Directions to the Tract: On Garvin Road (Crystal Dig Blacktop) South of Cherokee, travel approx. 4 ½ miles East, the tract is located on the North side of the road. Located to the south and adjoining Tract # 2, this open grassland tract offers areas of native grass, and some improved. 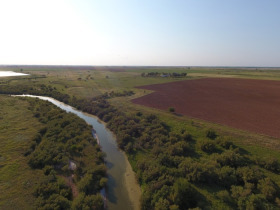 Water to this tract is provided via a small but deep water pond / catch, along with a working windmill / water well. This tract also borders the Salt Flats, and offers five wire perimeter fencing to the east, and some permanent fencing on the South and West. 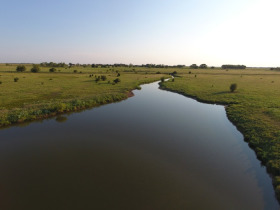 An additional drainage creek is also located on this tract, along with some dense cover, and areas of dense trees to the south, providing good natural wildlife cover. 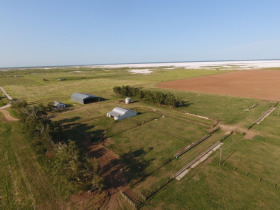 FSA Farm Information: As per the Alfalfa County FSA, this farm shows a total Farmland of 156.98 acres, and a Wheat Base Acreage of 156.9, with a PLC Yield of 28 Bushels. This tract does not contain a wetland. 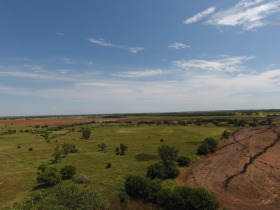 Soil Information: Principle soil types consist of 44.0% Class 5 Gracemont fine sandy loam, 0 to 1 percent slopes, 30.3% Class 8 Salt Flats, 0 to 1 percent slopes, with the balance in Class 3, Buttermilk Silt Loam, Wisby sandy loam, 0 to 5 percent slopes. Note: Tract # 2 & Tract # 3 adjoin each other, and will be offered in a choice and combination. They can be sold separately or combined, however the bidders choose. Terms: No Buyers Premium. 10% down upon signing the purchase contract, balance due upon delivery of merchantable title. Bidding is not contingent upon finance, please have all financing in place prior to bidding. Title transfers as surface only with a warranty deed. Possession of all tracts will be at the conclusion of the current agricultural lease, and following closing. Announcements made the day of the auction take precedence of any previously stated material.